When Falah closes his eyes, he sees himself high above the clouds, in the cockpit of a fighter jet. When he imagines his future self, he is a pilot who helps to defend his country from the forces which seek to destroy. 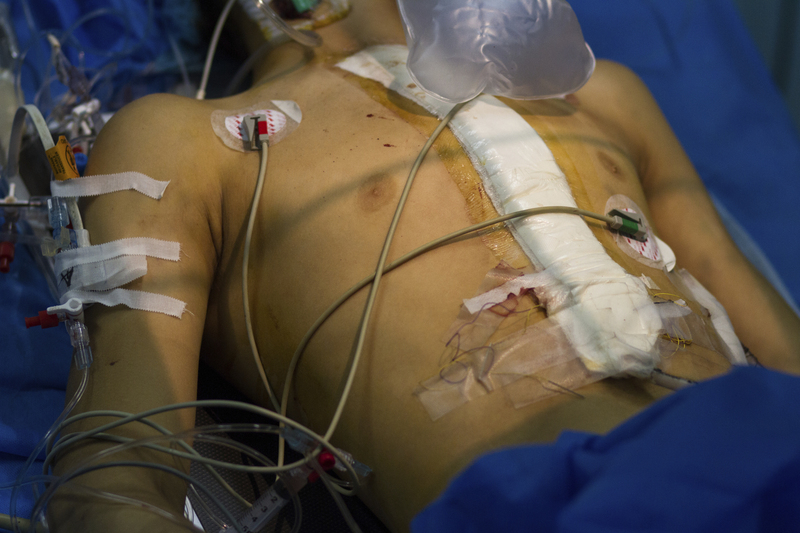 But today Falah is laying in his hospital bed recovering from the surgery that saved his life. Falah is a normal 16 year old. He loves to watch war movies and play first-person video games. His favourite soccer player is Christiano Rinaldo and he has favourite meals that his mom cooks (chicken or fish, please!). But in one important way Falah was always different from his peers—he couldn’t play. He was born with a heart defect that wouldn’t let him. When he was very young, his heart defect was less of a problem. In fact, his family didn’t even know that he had a heart defect! But as he got older, his heart wasn’t able to keep up with his growing body. He was often tired. If he was out in the summer sun too long, he would pass out. Two years ago he was riding his bike home from school when he passed out on the side of the road. His family rushed him to the hospital. Falah complained to the doctor that his heart was racing and it hurt. At fourteen years old, the heart defect Falah’s was born with was finally diagnosed. School became more difficult for Falah, as his heart struggled harder to keep up. He was always so tired. Often he got dizzy, and couldn’t see the words in his textbooks. Sometimes he passed out in class. His tight-knit group of friends tried to help by raising up his legs to get more blood to his heart. This year Falah was asked to leave school—he was too far behind his classmates. Falah’s routine changed. Instead of the daily pattern of classes, he now had a weekly pattern of doctor’s appointment. It was amazing that Falah was still alive at all—many children born with his type of heart defect don’t live this long without surgery. 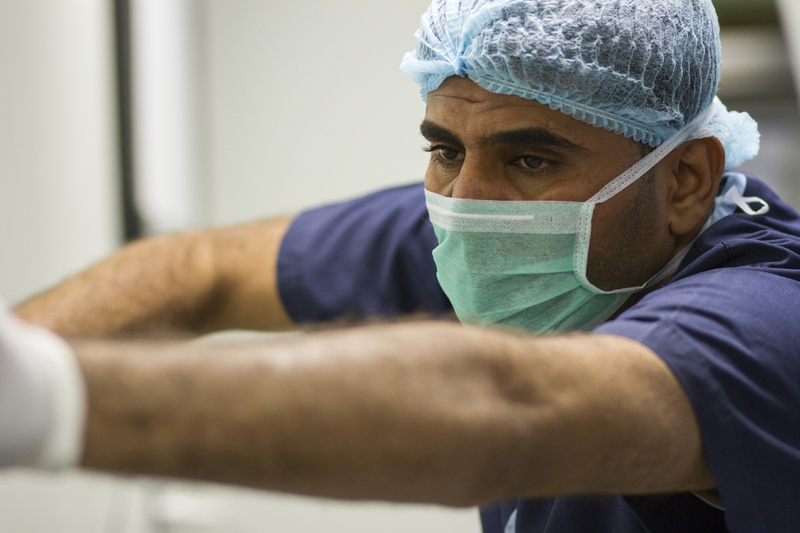 His doctor told Falah’s family that he wouldn’t be able to get the surgery he needed in Iraq—there simply wasn’t the necessary equipment or skilled doctors. They applied to the government to get surgery outside the country, but heard nothing after months of waiting. 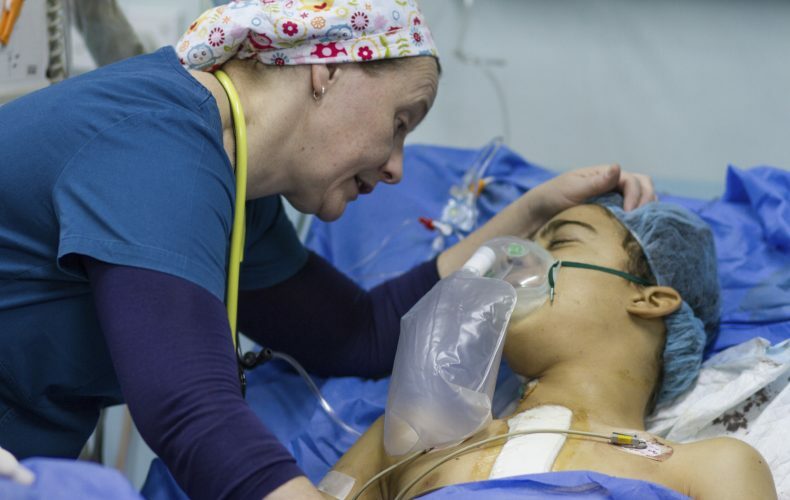 Falah’s mother was crushed with a deep sense of depression, worried that her son wouldn’t live long enough to get the surgery that could save his life. And then one day, at one of his weekly check-ups, Falah’s doctor told him that there was an international team coming to perform the kind of surgery he needed—us. 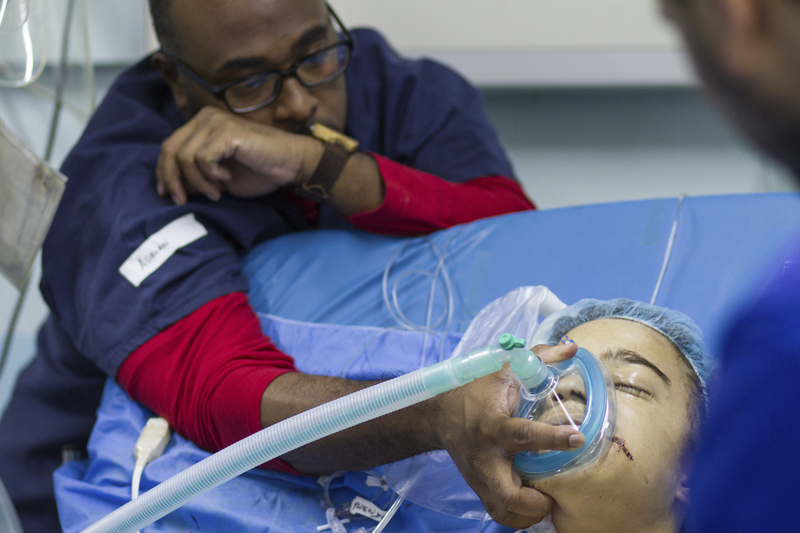 We were able to perform the surgery Falah needed to live. He survived the long waiting that lead up to that day, and now he flashes a big thumbs up when we ask how he is feeling. Recovering in his bed, as we remove wires and tubes no longer needed one-by-one, Falah and his mom are able to think about his future. He talks about returning to school. His mom hopes that Falah can have a successful life—that he will go to college, and simply be an ordinary boy. But the very first thing Falah plans to do when released from the hospital is to play soccer. He wants to play soccer with his friends, the same friends who cared for him when he passed out in class. Falah might not become a fighter pilot, but now he can fly on the soccer field, as fast as his legs will carry him, just like his hero Christiano. Sometimes living takes you by surprise. Zahraa was in the step-down unit when we asked what her hopes are for the future. Today is just the first day after her surgery, but she is already well enough to smile at silly jokes. She is relaxed in her bed, and turned down the pain medication our nurse offered. Zahraa’s family knew she had a heart defect since she was a baby, but she functioned pretty well, so they didn’t pursue further treatment. They thought she might grow out of her heart defect, as some children do. Life got complicated for Zahraa. She became an orphan. Both of her parents passed away—she and her older sister have had to learn to make their way in the world together. Two weeks ago, Zahraa passed out. When she was found, she was bleeding from her nose and mouth. 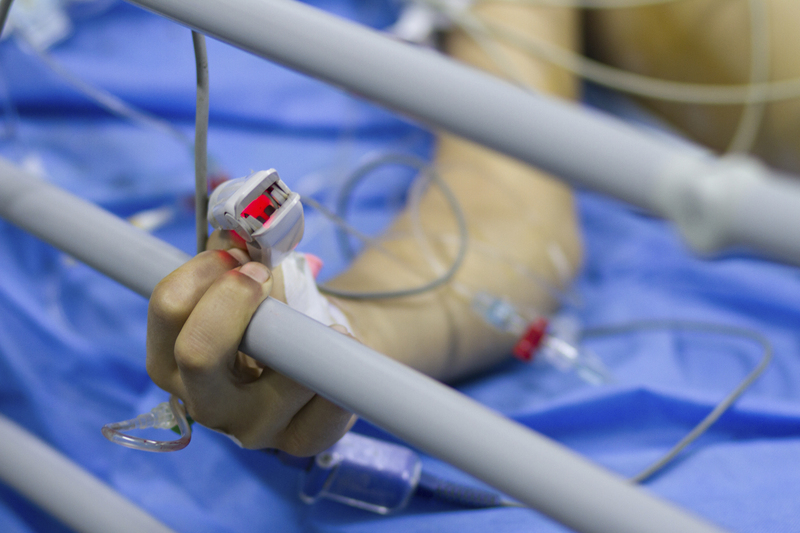 Knowing her history with a heart defect, she was rushed to the hospital. Her symptoms worsened quickly—she began losing weight, and her colour changed. 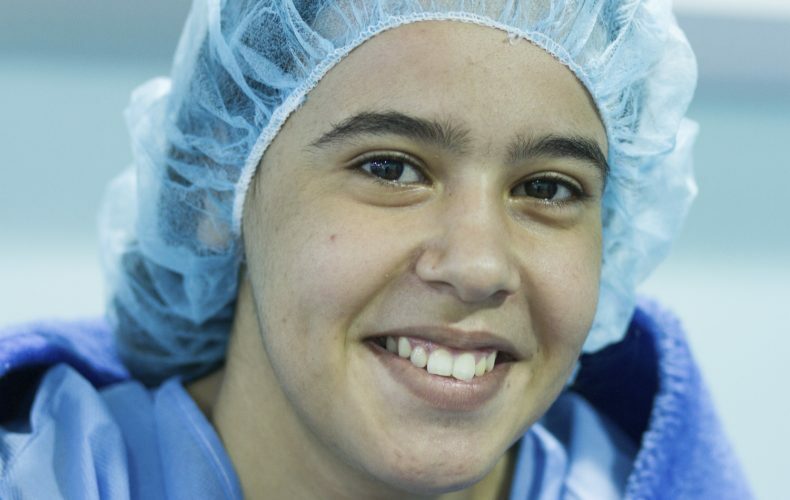 When we first met Zahraa, before her surgery, we asked her if she was nervous. She seemed completely relaxed, at ease with whatever might happen in the next several hours. She talked and laughed, and flashed her beautiful smile. 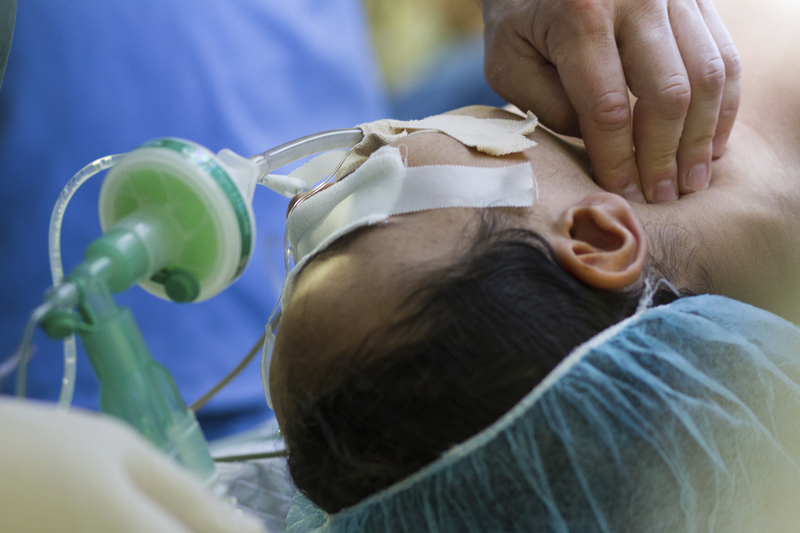 Zahraa faced death squarely in the face, and didn’t even blink. Today, Zahraa is a 15 year old girl with a great prognosis. Together we provided her with lifesaving heart surgery, and turned her world upside down. Together we made sure that Zahraa needs to learn a new skill: how to dream about her future. She was blue. Well, she was beyond blue actually—purple. We started the day with a little purple baby thrust into our arms. “She doesn’t look very well.” That might be the understatement of the year. Umalbanen was admitted immediately, and examined to see just what was going on. The verdict? She was hours from death. 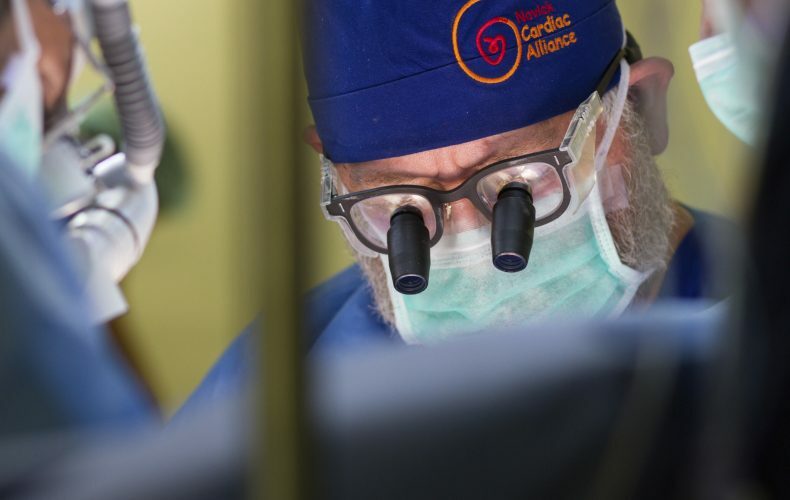 We’ve recently been to Basra, a city tucked into the south of Iraq, near the border of Iran—providing heart surgeries to children who can’t get the care they need to survive. For six months—Umalbanen’s whole life, in fact—she struggled to live. She was born with a heart which routed blood the wrong way. This meant that her body wasn’t getting oxygen. Her very cells were suffocating. 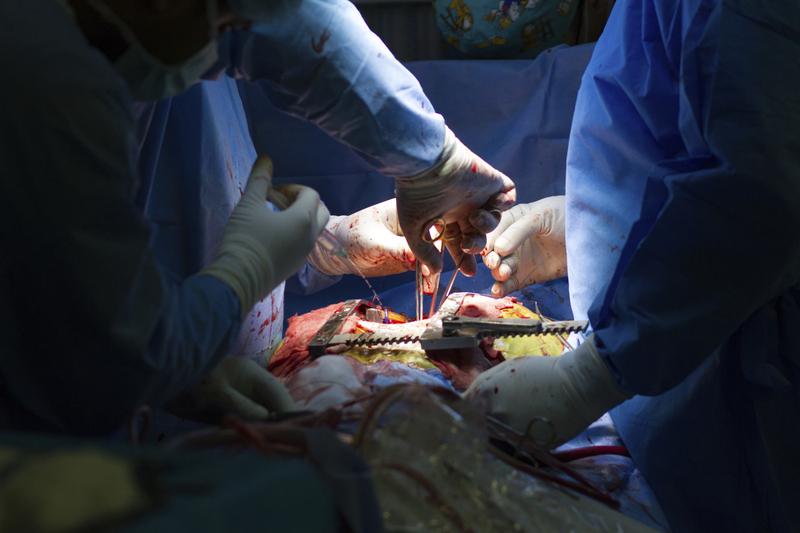 When the surgeon opened her chest on the operating table, her little heart was black. And that little black heart was an immediate and stark reminder of why our pediatric heart surgery program in Iraq is so important. 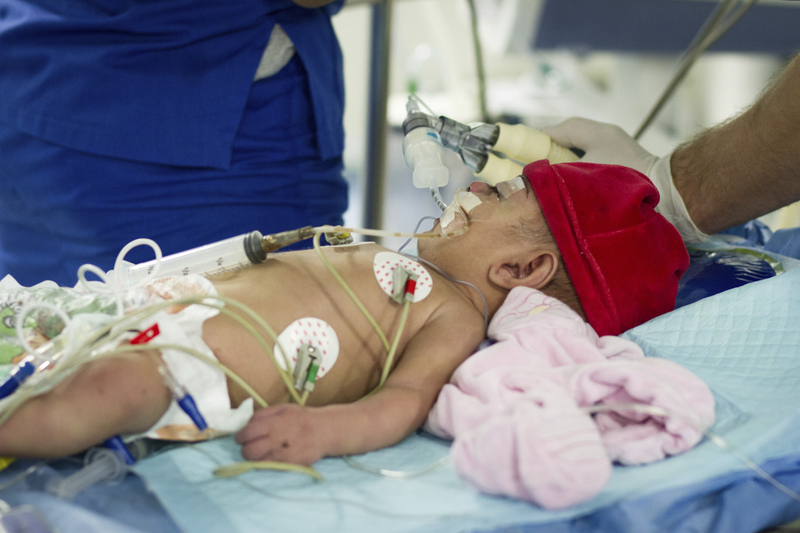 Rates of congenital heart defects in Iraq continue to be high, in part thanks to the chemical effects of war. Iraqi children can’t seem to catch a break, as the current war with ISIS ensures another generation of children will need surgery in order to survive. 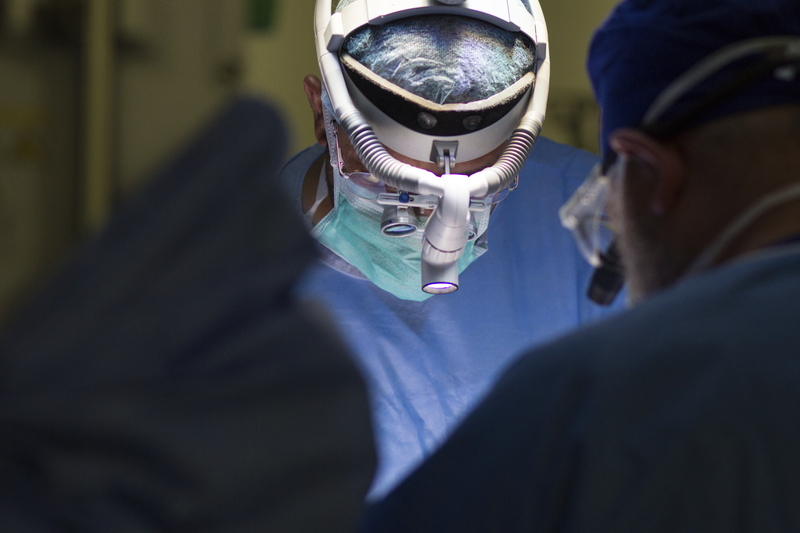 It takes decades of stability to create the kind of teaching programmes that produce medical professionals capable of tackling complicated illnesses. Iraq doesn’t have the luxury of waiting for that to happen. We were invited to come and teach, in spite of the current war and instability—and we said yes! “You cared for her like she was your own family…” It caught Umalbanen’s mother by surprise. Our vision is that in the future all children with heart disease, no matter where they are born, will be able to receive the medical and surgical care they require to live a long and healthy life—including Iraqi kids.